Join us at this skincare workshop to learn best practices, what amazing products are out there, and more! RSVP in advance and receive a $50 gift card to Aesthetics Laser Specialists and INVITA coffee! 3:00 PM See you next month with your friends for Game Face Friday. Enjoy your weekend! Over two decades of experience and a passion to help you look and feel your best, Aesthetics Laser Specialists, located in Carlsbad Village, treat multiple body and facial concerns whether that is wrinkles, sun spots, or skin laxity! With the help of our experienced and highly qualified staff, you may be able to see your facial and body imperfections disappear! Each member of our team has successfully treated thousands of patients, delivering great results. We measure satisfaction by how well we meet patients’ aesthetic goals, which may range from decreasing the appearance of a few wrinkles to smoothing out your overall complexion. Our practice uses only genuine injectable products from Allergan and Merz and all our lasers are FDA-approved, so you can trust you are receiving excellent care. With extensive clinical experience, our nurses and physicians will develop a personalized treatment plan specific to your needs and your skin conditions. Kyndra L. McKinney is a Registered Nurse with over 20 years of experience, including five years as Vice President of Nursing for Aesthetic Laser Specialists and seven years with Dr. Victor Ross of Scripps Clinic Laser and Dermatology Center. Having performed nearly 10,000 laser procedures, she sets and upholds the high standards of patient care in all of our locations. Nicole Dowler graduated from SDSU with a Bachelor’s Degree in Nursing. She has been working in aesthetics and plastic surgery for over seven years. She has trained and mentored several aesthetic RNs in San Diego County. Her passion for aesthetics shows through her meticulous work. Dawn empowers men and women to feel confident as they realize their fullest potential through the power and “magic” only found in entrepreneurship. Confidence Without Cosmetics was born from Dawn’s history in business management, fashion design & marketing, and branding along with her current work as a Natural Skin Care Specialist and Area Developer for a premium, pharma-grade, botanical skincare line & wellness company. addressing challenges and frustrating skin conditions, Dawn noticed that most people simply wanted to feel comfortable in their skin – without cosmetics. She feels the most fulfilled when she is materially helping her community (clients and business partners) gain skills, self-esteem, become more confident, grow and find more satisfaction in EVERY facet of life, as a result of their health and business successes. Dawn believes entrepreneurship is the perfect formula for gaining control and confidence in todays economy, and for ensuring security for our futures. She believes developing necessary skill sets that can make or break us in business and in day-to-day challenges, can truly empower us in anything we encounter. Dawn is sensitive to the rising standards and demands for professional quality livestreams, videos, head shots, and lifestyle photography in doing business on social media. She brings all the necessary professionals together to provide everything her team needs to be taken seriously online and in person. The idea for putting on our Game Face was born from this awareness. She wants women to have everything they need to even out the playing field in business. She regularly teaches business and social media etiquette, personal branding, content strategy, role-playing, problem solving, and personal development with her team and is looking forward to bringing her skill set, elegant and respected resources, and affiliations to a larger audience. You will want to stay in touch with Dawn and ask her about the next 12 month agenda she just prepared. Dawn helps change faces and futures in large and small ways, every single day. She’s interested in hearing what your specific needs have to support your business and your skin health. She will see that your questions are addressed. 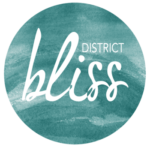 As a District Bliss Ambassador, Dawn organizes and orchestrates each Workshop and Vendor Social while spreading positivity. She supports the community and encourages others to pursue their dreams!